Montclair Soccer Club serves about 1,500 players from more than 1,000 families, with more than 80 teams formed to play Recreational soccer! 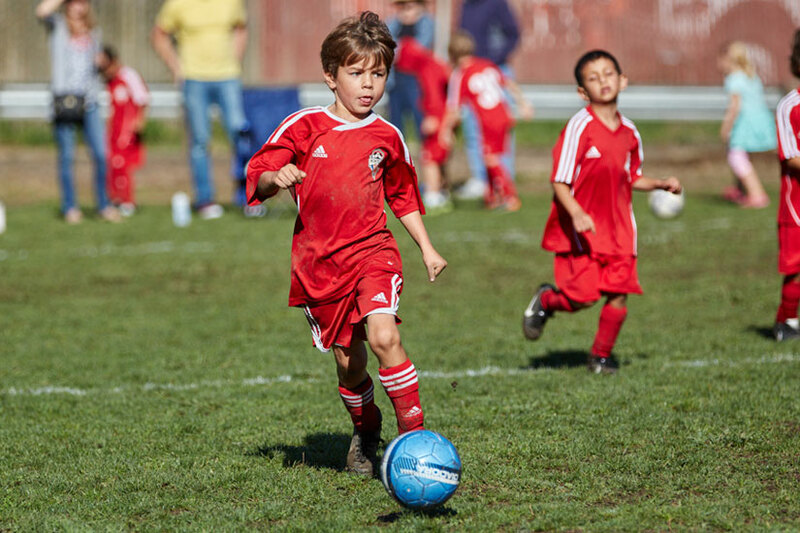 The Montclair Recreation Soccer Program provides an opportunity for young people in our community to develop healthy life skills and team skills through active participation in the beautiful game of soccer. Our core values are teamwork, fairness and communication, while nurturing a positive environment to strive for excellence. Montclair Rec. Soccer Program offers two, full soccer seasons in the fall and spring, providing a fun and safe environment for children ages 4-19. The focus is participation, team building, sportsmanship and fun while kids learn the game of soccer in a minimally competitive environment. Children in our U4-U5 (under 3-4 years old), U5 and U6 age divisions learn ball handling skills and improve coordination with fun games and activities in a relaxed environment. They learn to love the game of soccer and make lasting friendships on and off the field with kids throughout the East Bay cities of Oakland, Alameda, and Piedmont. As the age divisions get older; U8, U10, U12, U14 U16 and U19, practices become more structured with age appropriate drills focusing on field positioning, ball control, game strategy and scrimmages. Led by our dedicated volunteer coaches and supported with supplemental training from our professional coaches of 24/7 UK Soccer Academy; our players develop into strong, confident individuals that appreciate teamwork, commitment and pride in being a part of the Montclair Soccer family. An in-house program where practices and games are all played against MSC teams. A developmental soccer program where kids learn to play soccer by playing on a small field with fewer players than in full-size regulation play. Designed for players age 9 to 18 who want to play soccer for FUN. Pricing information for recreational players. All players will purchase their uniforms directly from soccer.com. Frequently asked questions regarding recreational soccer.